It’ll fill the smaller spaces in your home with sound, but you’ll need its bigger sibling for the living room. When I reviewed Naim Audio’s Mu-so, its $1499 price tag didn’t bother me because its performance knocked me out. So when I saw its diminutive cousin—the Mu-so Qb—at CES in January and learned that Naim planned to introduce multi-room support for the Mu-so lineup, I couldn’t wait to hear the smaller speaker. The Mu-so Qb looks just as beautiful as its larger sibling, but it doesn’t quite live up to its $999 price tag. We’d like the Naim Mu-so Qb a lot better if it was either a little cheaper or its amplifier was just a little more powerful. That aside, it’s a wonderful wireless speaker if you don’t need to fill a large space with music. There’s certainly nothing wrong with the Mu-so Qb’s build quality, its fidelity, or the Mu-so multi-room features in general (which I will also cover in some detail). 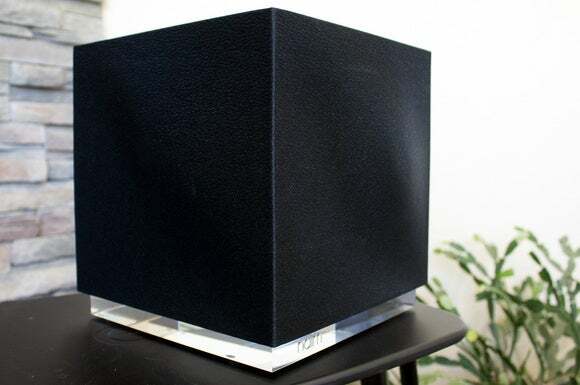 My one complaint is with this speaker’s amplifier: It filled my 350-square-foot main bedroom with sound, but could provide only background music in the larger area of my great room and adjoining kitchen (about 700 square feet combined. Both rooms have 10-foot ceilings.) The speaker was so quiet when I first auditioned it that I thought there must be something wrong with it. Poking around in the Naim app’s settings revealed the problem: The app had the speaker configured to produce maximum volume of 51 on a scale of 100. I quickly reset this to 100, but it didn’t change my opinion of the Mu-so Qb for large rooms. Amplifier power was much less of an issue when playing pop music than when I wanted to listen to classical music, which tends to be more dynamic. I don’t expect any powered speaker system to make my ears bleed, but the quieter passages of the London Symphony Orchestra’s recording of the Beethoven’s Symphony No. 3, for example—particularly the second movement, “Marcia Funebre–Adagio assai”—got lost in the bigger room unless I was in a near-field listening position. The Naim Mu-so Qb has passive radiators on either side of its enclosure. The cube-shaped Mu-so Qb (get it?) features two 1.0-inch microfiber dome tweeters, two 2.5-inch mid-ranges, and one 5.5-inch woofer mounted in the front. The tweeters and mids are angled and offset to enhance left/right dispersion. Stereo separation was good, but not knock-me-flat terrific; especially when compared to the original, larger Mu-so 0819. 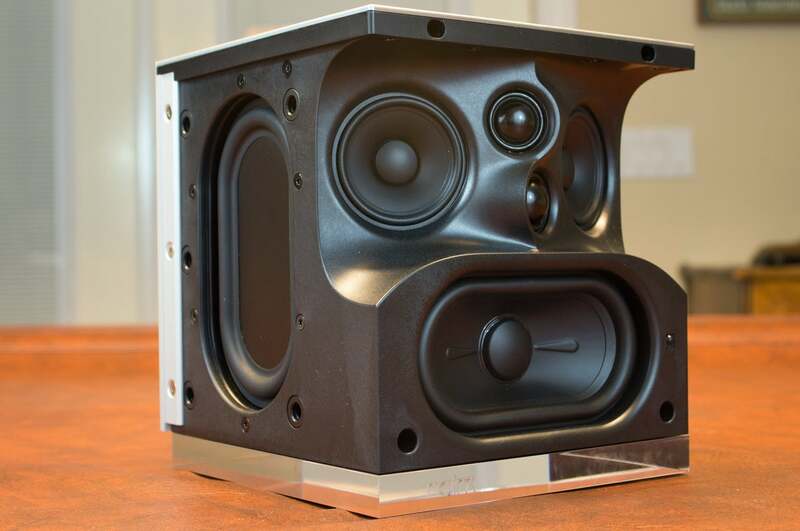 A pair of 5.75-inch passive radiators mounted on either side of the cabinet help the powered woofer serve up delicious amounts of extremely well-defined bass. 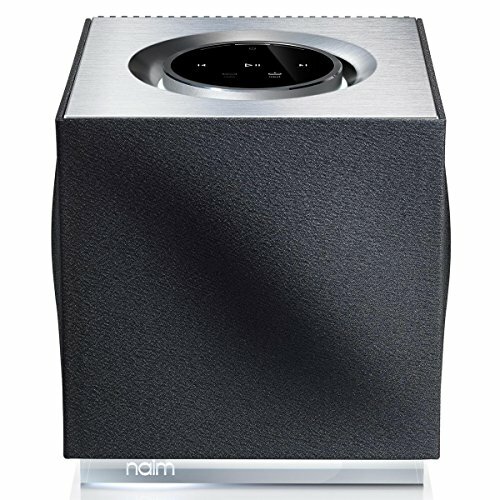 Naim doesn’t offer a wireless companion subwoofer, but you won’t feel the need to have one, either. Listening to Chaka Khan’s over of Prince’s “I Feel for You,” from the album of the same name, I was very pleased with the Mu-so Qb’s ability to render the thumping bass line. The less-expensive Sonos Play:5—one of my all-time favorite multi-room audio speakers—was much less able to render each bass note as cleanly and distinctly as the Qb was. Naim takes rightful pride in designing its own drivers—there’s nothing off-the-shelf about either of the Mu-so speakers. And the Qb features the very same 32-bit DSP used in the larger speaker, but this one is used to fine-tune the drivers for the acoustic properties of the smaller enclosure. Two DSP settings are exposed to the user in the Naim app: You can configure the speaker as being more than or less than 25cm from the wall. 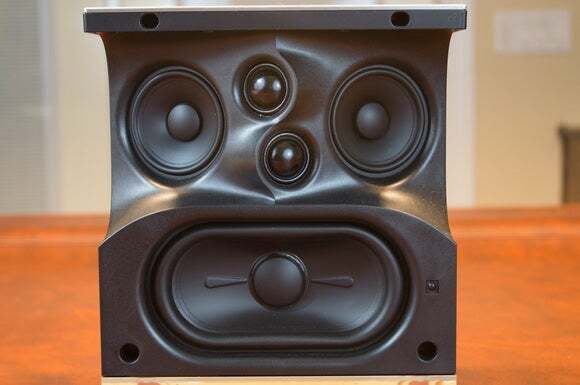 Placing a speaker against the wall can improve bass response, but this can muddy the speaker’s rendering of mid-range frequencies. Naim’s DSP gives you a great deal of flexibility when it comes to placing the speaker—when you can’t avoid a compromised location, the chip will compensate for it. 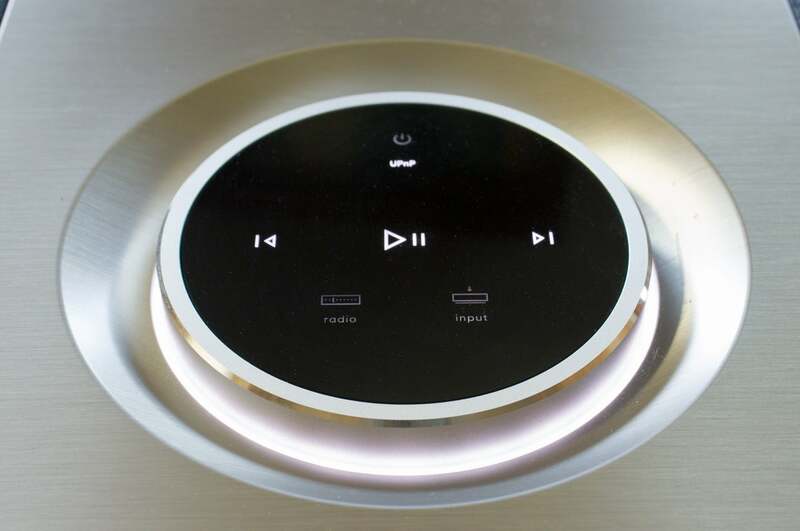 The volume control ring is fabricated from aluminum and features a touch-sensitive display in its center. In terms of design, the Qb shares the same asymmetric aesthetic as the original Mu-so in that it has an undulating cloth-covered speaker grill on three sides. If you don’t like black, you can purchase replacement grills in blue, orange, or red and customize the app’s color scheme to match). The cube itself rests on a clear acrylic base with an LED illuminating the Naim logo (with three levels of brightness). 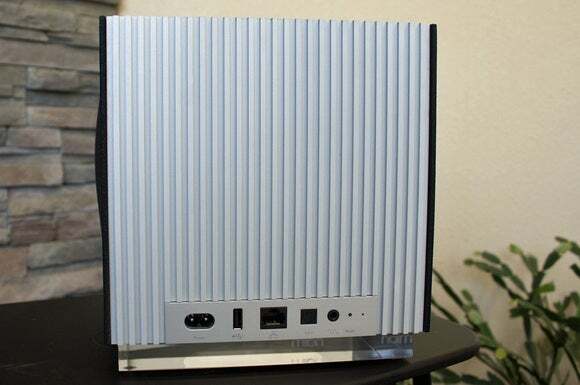 An extruded aluminum heatsink covers the entire back of the speaker, while the top is dominated by an oversized aluminum volume-control wheel. A ring of LEDs backlights the wheel, and backlit touch-sensitive icons on top of it provide play/pause and track-forward/back functions, input selection (USB, analog, or optical), and Internet radio via iRadio (with five presets that you program through the app). The wheel performs as elegantly as it looks. The Mu-so Qb has an ethernet port, for those who prefer wired connections, but I tested it with a wireless connection to my router. I streamed tracks ripped from CD and encoded to FLAC (16-bit/44.1kHz), MP3s (from those times I couldn’t resist buying a $5 album from Amazon), as well as Apple Lossless tracks and high-resolution FLAC files (24-bit/96kHz) purchased from Bowers & Wilkins’ Society of Sound service. These files are stored on a NAS box connected to my home network (both Mu-so’s support UPnP servers). The speakers also support Apple’s AirPlay technology (for streaming from iTunes and Apple Music) and Bluetooth streaming (with AptX support). An aluminum heatsink on the back of the Mu-so Qb keeps the unit cool. Up to five Mu-so speakers (and other Naim streaming-audio components) can be linked together and controlled via the app. Naim’s multi-room support is considerably more clunky than that of Sonos—the platinum standard in consumer-configured multi-room audio—but the Mu-so speakers can do one thing no Sonos speaker can: They can stream high-resolution FLAC files. They’d be even more impressive if they could stream DSD files, but that would only be of interest to an even smaller audience. There is a major catch; however, Naim only supports multi-room streaming with files with maximum sampling rates of 48kHz. I was able to stream one 24-bit/96kHz FLAC file to one speaker and a different 24-bit/96kHz FLAC file to a second speaker, but I couldn’t stream the same file to both speakers simultaneously. (Fortunately, the homes neighboring mine are too far away for the occupants to hear PJ Harvey screaming in the media room while Gregorian chants played in the bedroom.) The system had no problem synchronizing the playback of 16-bit/44.1- and 16-bit/48kHz files on the Mu-so Qb and the original Mu-so at the same time. The tweeters and mid-ranges are offset in order to enhance stereo imaging. Here’s why I characterize Naim’s multi-room execution as clunky: When you’re in multi-room mode in the Sonos app, you can switch between controlling one speaker and another (or a group of other speakers) with just two taps on the screen: Touch Rooms at the top of the screen and then tap on the group you want to control. Grouping speakers together (or breaking them apart) takes just one more tap. Whatever groupings you make, you can open a window to control the entire group’s volume or each speaker’s volume independently. The Mu-so app isn’t nearly as elegant as what Sonos has come up with for its wireless speakers. You can group multiple speakers and control their volume with Naim’s app just as easily; the problem arises when you want to see which tracks are streaming in each room, or you want to change the tracks playing in each room: Apart from the grouped volume control, the app’s entire user interface is dedicated to only one speaker at a time. It takes five taps on the UI to back out of one speaker and get to the point where you can change what’s playing on one of the other speakers—and that’s only if you can remember the proper sequence of taps. 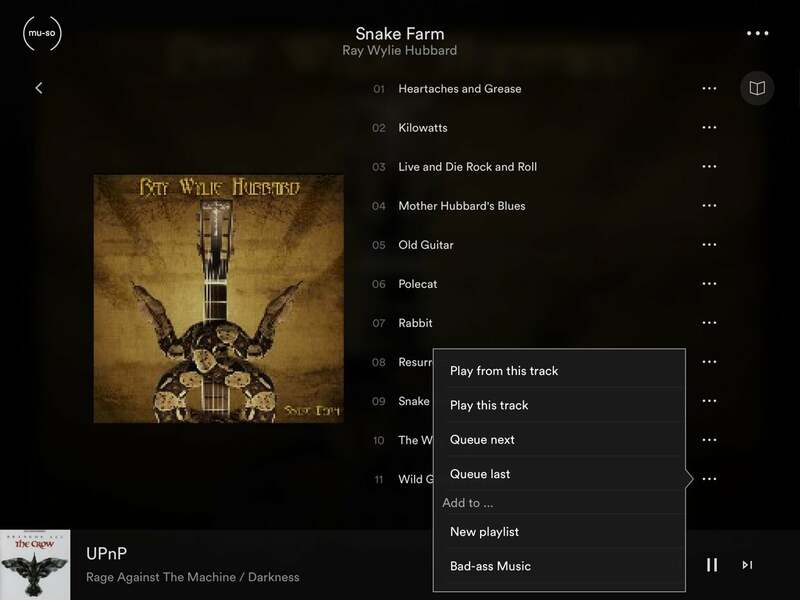 The same routine can be accomplished with just two taps in Sonos’s app. The Mu-so Qb’s illuminated acrylic base lends the speaker an extra bit of flair. Here’s another aspect where Sonos’s offering is superior: It’s almost impossible to name a legit music-streaming service that you can’t play on it—including Apple Music. 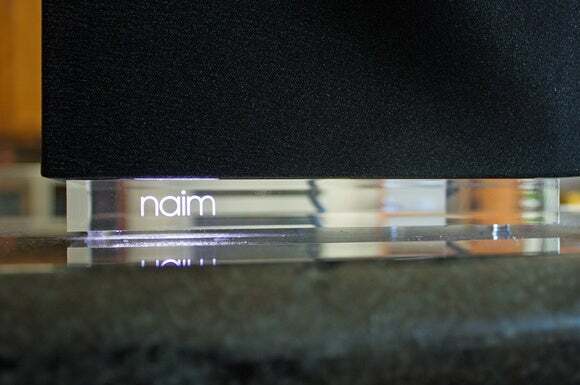 Naim supports Spotify and Tidal—and that’s it. One weird thing about Tidal, though: Your Tidal password must be alpha-only or alpha-numeric in order to stream music. You can log in with a more complex password, and the Tidal user interface will appear in the app, but you won’t be able to stream any tracks from the service. If you’re interested in giving Tidal a go, you can sign up for a 90-day free trail of the lossless Hi-Fi tier of service (the service costs $20 per month if you keep it beyond the 90 days). Whichever music you choose, the Mu-so supports most of the important audio formats, including WAV, FLAC, and AIFF up to 24-bit resolution with maximum sampling rates of 192kHz; Apple Lossless up to 24-bit resolution with a 96kHz maximum sampling rate; and up to 16-bit/48kHz AAC, MP3, Ogg Vorbis, and WMA files. One thing I dig about Naim’s app is that it pulls in Rovi metadata about whatever music you’re listening to, whether it be from your own collection or streamed from a service such as Tidal. 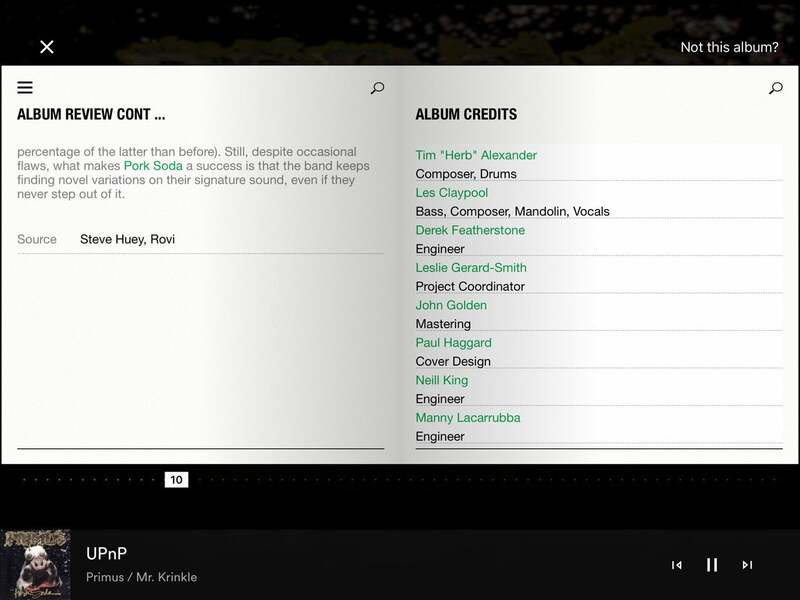 If you miss the liner notes of the LP era, you’ll appreciate being able to see information about the engineer, the producer, the contributing artists, and much more. It’s not as in depth as what you’ll get with a Roon subscription, but it’s also a whole lot cheaper. One feature we really like about Naim’s app is that it includes a wealth of metadata about the music you’re streaming to it. If you own other Naim components and are looking to step up to a multi-room system, The Mu-so Qb is a no-brainer for the smaller rooms in your home (bedroom, dining room, and so on). It’s every bit as accurate as the larger Mu-so, but it’s much more compact and it costs a third less. On the other hand, a price tag one-third less than the original Mu-so is still $999. 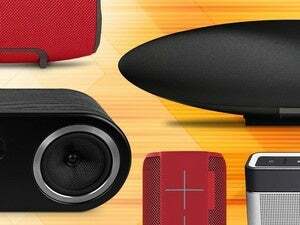 Yes, it’s an audiophile-class speaker that delivers a better musical performance than any Sonos component can touch, but that’s a lot of money to bring music to the smaller rooms in a home. I’d hesitate less if the Mu-so Qb was priced at, say, $750 (the Sonos Play:5 goes for $499, and the B&W Zeppelin Wireless is $699—but that speaker doesn’t support multi-room audio). Then again, I neither consider myself a true audiophile nor live the luxury lifestyle, so perhaps I’m just picking nits. Bottom line: No reasonable music lover will think you a fool for buying a Mu-so Qb.